Is your organization, business, school, municipality or agency taking innovative approaches, advancing sustainable practices, generating economic growth or harnessing the power of creative partnerships? 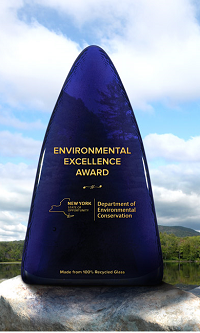 You could be one of New York's next Environmental Excellence Award winners! Submit your application by Wednesday April 17, 2019.